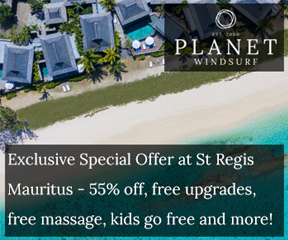 With summer just around the corner, the team at Planet Windsurf Holidays recommend booking your next holiday before it’s too late! 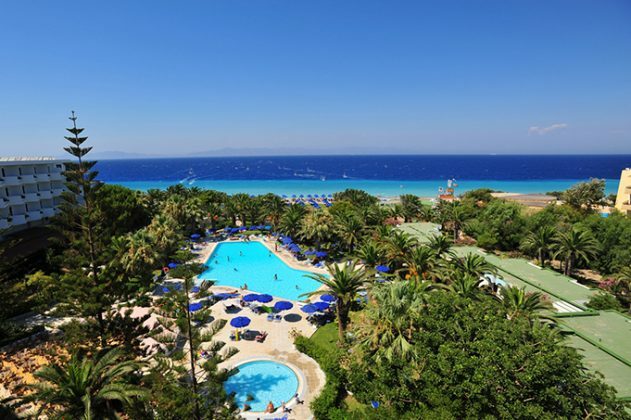 Located on the paradise island of Rhodes in Greece, the Pro Center Rhodos is one of their favourite destinations for the upcoming summer holidays. 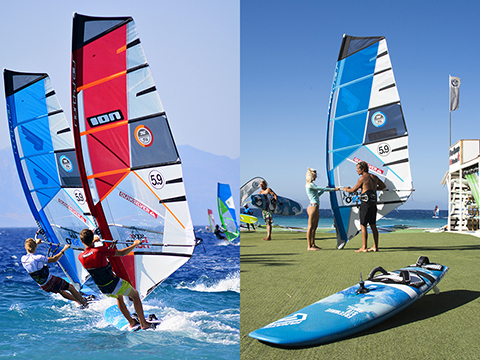 Located directly at a beautiful four star hotel, on the second largest Greek island, in the picturesque area of Ialyssos, the center offers the latest equipment from Fanatic, North Sails, JP, NeilPryde, Tabou and Gaastra with more than 170 boards and 200 sails to choose from. 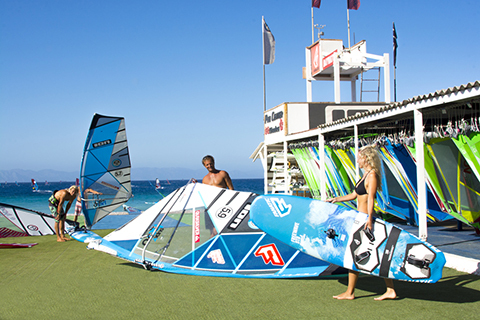 A number of instruction options are also available for a range of skill levels and ages, while two surf shops stock the latest windsurfing clothes and accessories. On the beach you will also find two watch towers and a rescue boat so you can rest assured knowing that you will be safe on the water. With excellent instructors, fantastic theory sessions and video analysis, Rhodes has to be one of the best places in the world to improve your skill level in a short amount of time. 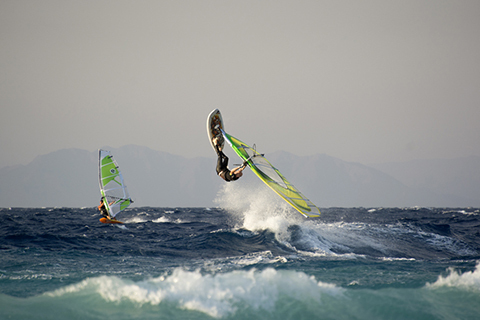 At Ialyssos you will enjoy amazing wind conditions with this stunning coastal region well known for the dry, north-westerly Meltemi wind. In addition, the spot also benefits from daily thermal winds with a consistent side-shore wind and an average wind speed of 16 to 25 knots with the wind picking up towards the afternoon. 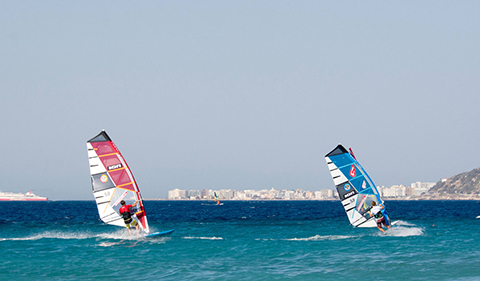 The first 200 metres of the bay is however sheltered from the wind, making the perfect training ground for beginners. The center also offers storage facilities, fresh water showers, a beach volleyball field and sun beds for relaxing under the shade of the palm trees while the next door Blue Horizon Hotel offers a fantastic place to relax when you are not out windsurfing and lots to do for non-windsurfing partners and family members who want to enjoy an amazing holiday in the sun. The surrounding area offers unique natural beauty where exquisite beaches combine with amazing archaeological sites with a range of cultural activities and nightlife. Here you can journey by donkey to the acropolis and enjoy the amazing views over the bay, discover a world of fun and adventure at the water park, dance the night away with three clubs in one at the Colorado Entertainment Center or rent a yacht and explore the surrounding islands. The possibilities are endless this summer! 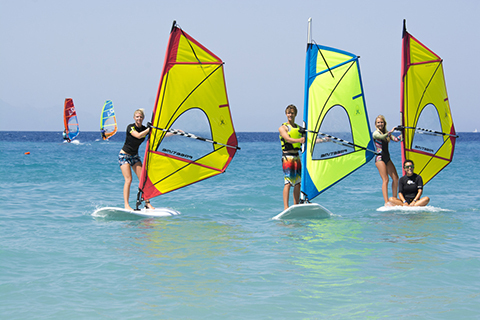 Contact Planet Windsurf Holidays now to start planning your summer getaway to Rhodes!